Though Bujera Fort, located west of Lake Pichola, has only been open since autumn of last year, it looks like it’s been around for centuries. 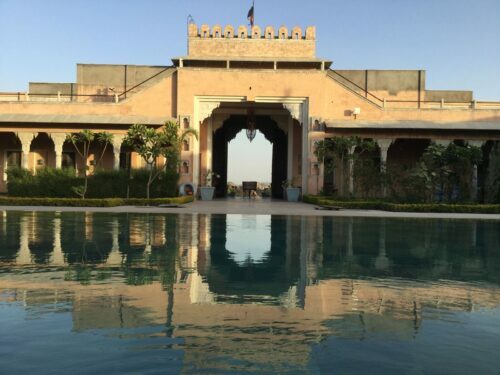 Designed to resemble a historic Rajasthani fort, the hotel is brimming with vintage accessories and traditional architectural flourishes. 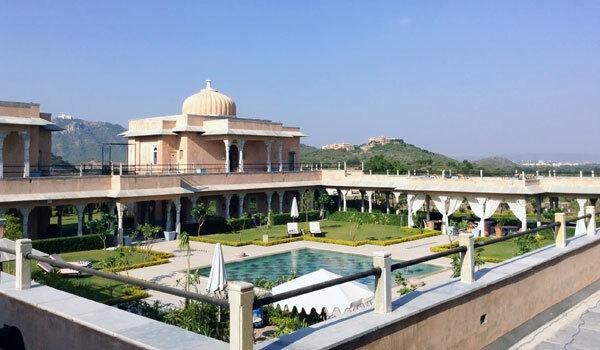 It’s a veritable oasis of luxury and comfort in a quiet stretch of the Aravalli Hills. 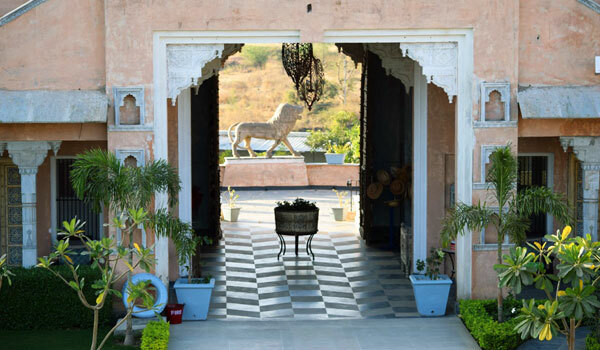 Opened by English owners Richard Hanlon and Trish McFarlane, the gorgeous new venue has the distinction of being Udaipur’s very first boutique hotel, and is already being celebrated by the likes of Condé Nast Traveller. 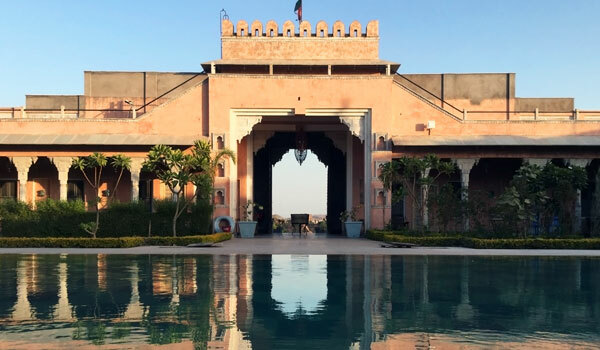 To learn more about this standout venue – and why it’s a must-stay for travellers to Rajasthan – we went straight to the source. 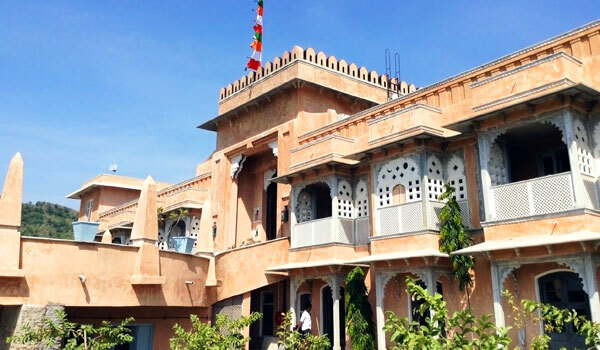 Greaves: Bujera Fort has the distinction of being Udaipur’s first boutique hotel. Can you tell us what inspired you to open it? Richard Hanlon: ‘Firstly, Trish and I didn’t want to grow old in the UK, and we needed something to do. So, why not a holiday home in India? I got the idea after reading These Foolish Things by Deborah Moggach, which was the source and inspiration for The Best Exotic Marigold Hotel films. Funnily enough, the films were actually made in Udaipur, and had we managed to open in time, the cast of the second film might have stayed here! You built Bujera Fort from scratch. What was the construction process like? What features makes the property special? ‘It was a long process, between finding the location for the hotel and opening it – there followed two years of bureaucracy and almost six years of construction. We wanted Bujera Fort to feel like a traditional haveli, but with all the modern comforts, and with no steps (except the staircases). The idea was that it should look as if it had always been here – and most people now think it has! 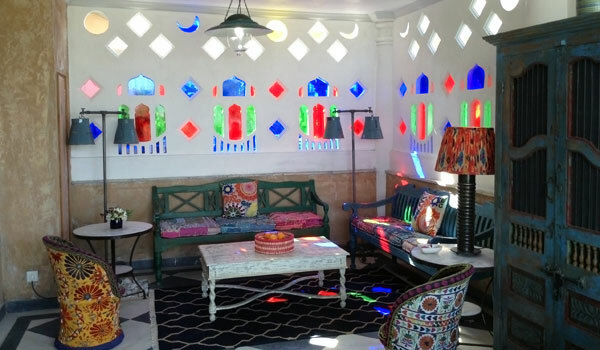 We used salvaged materials wherever possible, and only made six doors and five windows – the rest were sourced from all over Gujarat and Rajasthan. The building also features cloister columns that were hand-carved on site, light fittings made to our designs in Firozabad, and copies of lanterns made in Belgium in the 19th century for the Royal Palaces in Bhuj. Local marble was used everywhere, and we sourced vintage Indian ikat fabrics and quilts, as well as modern British textiles. What are some of the special amenities available to Bujera Fort’s guests? ‘The fort is built around a huge courtyard with a central swimming pool. Surrounding it are wide cloisters with two large pavilions for dining and relaxing. For those looking to soak up sun, we have a Moghul garden with a fountain and private seating areas, a vintage swing, and extensive gardens with many terraces and areas for quiet contemplation. We also have a well-stocked library, a drawing room with a piano, and six working fireplaces for chilly December nights. The kitchen is open to guests at all times, and the chefs are very happy to do cookery demonstrations and make anything special. And for those missing home, we offer afternoon tea, with a special selection of teas and cakes – even homemade hob nobs! 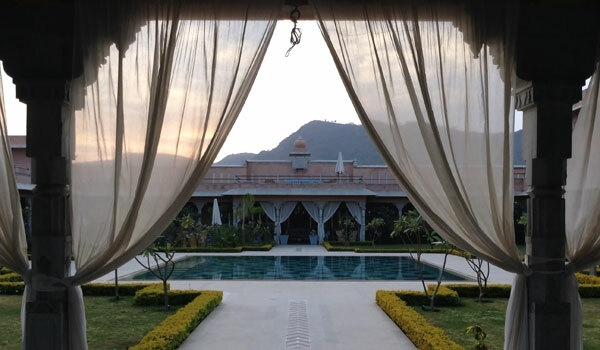 Outside of the hotel, there are many places to potter and sit and enjoy the exuberant wildlife and the views of the City Palace, Monsoon Palace, and the Aravalli Hills. We have bicycles for guest use, and also offer village walks and more serious walking trips in the surrounding hills. Tell us more about your Aravalli Hills location. Do you offer excursions or opportunities for guests to explore the region? ‘As mentioned, we offer village and hill walks. We’re also in partnership with a company that offers serious cycling tours around the region every day. How is Bujera Fort a green resort? What eco-friendly policies do you have in place? What are some of Udaipur’s unmissable attractions that you would recommend to guests? ‘Udaipur has so many unmissable sights. There’s the City Palace Museum, which was built in the 16th century and is home to the finest collection of miniature paintings in the world, as well as the stunning Crystal Gallery. Lake Pichola is beautiful all year, and visitors can take sunset cruises with a stop on Jag Mandir Island, where they can see its magnificent gardens and 16th-century buildings. When is the best time of year to visit Udaipur? Wellness is an important part of your dining programme. Do you have other wellness initiatives? 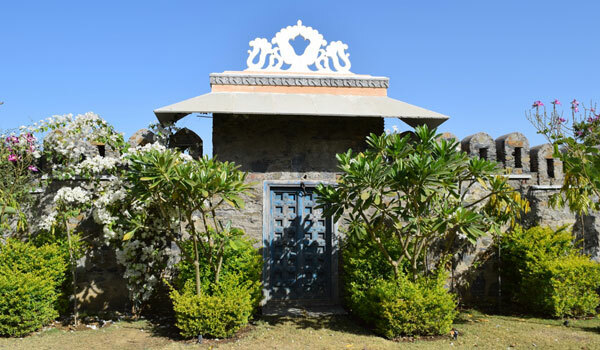 ‘Wellness is at the very heart of Bujera Fort. We are totally produce-driven, have a policy of cooking fresh food every day, and have a large organic vegetable garden, which provides much of our food. We source much of our meat locally and have plans to make our own goat cheese in the future. Otherwise, we cater to all kinds of special diets, and use as little salt and sugar as possible.